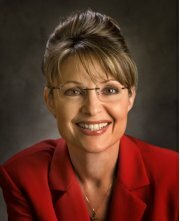 (On Aug. 29, 2008, Governor Sarah Palin was announced as John McCain's Vice-Presidential selection. On Sep. 4, 2008, ProCon.org sent its 65-question survey to Sen. McCain's Vice-Presidential Press Office and to Sen. McCain's Presidential Press Office for completion. We have not received a reply as of Oct. 20, 2008. ProCon.org also phoned the Governor's Office of Sarah Palin in Juneau, AK on Sep. 4, 2008, and we were told that they are not responding to inquiries regarding Sarah Palin as the Vice-Presidential nominee. Con: "[Charlie] Gibson: Roe v. Wade, do you think it should be reversed? [Sarah] Palin: I think it should and I think that states should be able to decide that issue... I am pro-life. I do respect other people's opinion on this, also, and I think that a culture of life is best for America... What I want to do, when elected vice president, with John McCain, hopefully, be able to reach out and work with those who are on the other side of this issue, because I know that we can all agree on the need for and the desire for fewer abortions in America and greater support for adoption, for other alternatives that women can and should be empowered to embrace, to allow that culture of life. That's my personal opinion on this, Charlie. Palin: That is my personal opinion." None Found: ProCon.org emailed the Palin campaign on Sep. 9, 2008 with this question. We had not received a reply or found a position as of Sep. 18, 2008. Pro: "If the legislature passed a death penalty law, I would sign it. We have a right to know that someone who rapes and murders a child or kills an innocent person in a drive by shooting will never be able to do that again." Pro: "[Charlie] Gibson: ANWR. You favor drilling in the Arctic National Refuge. [John McCain] does not. [Sarah] Palin: I sure do. Gibson: You changed him on that? He changing you? Palin: I'm going to keep working on that one with him. ANWR, of course, is a 2,000-acre swath of land in the middle of about a 20 million-acre swath of land. Two-thousand acres that we're asking the feds to unlock so that there can be exploration and development." Con: "[Charlie] Gibson: Guns, 70 percent of this country supports a ban on semiautomatic assault weapons. Do you? [Sarah] Palin: I do not and, you know, here again, life being an open book here, as a candidate, I'm a lifetime member of the NRA. I believe strongly in our Second Amendment rights. That's kind of inherent in the people of my state who rely on guns for not just self-protection, but also for our hunting and for sports, also. It's a part of a culture here in Alaska. I've just grown up with that. Gibson: Isn't gun violence in America a health issue? We spend billions of dollars a year every year treating people who are victims of gun violence. Nothing we can do about that? Palin: Do I think that all of that gun violence, though, is caused by people pulling a trigger who would have followed any law anyway? No. You start banning guns and you start taking away guns from people who will use them responsibly and use them ethically. You put more and more laws on guns and you start taking away a Second Amendment right, it's going to be, Charlie, the bad guys who have the guns, not those who are law-abiding citizens." Not Clearly Pro or Con: "I support flexibility in government regulations that allow competition in health care that is needed, and is proven to be good for the consumer, which will drive down health care costs and reduce the need for government subsidies." [Charlie] Gibson: So what should we do about a nuclear Iran? John McCain said the only thing worse than a war with Iran would be a nuclear Iran. John Abizaid said we may have to live with a nuclear Iran. Who's right? Palin: No, no. I agree with John McCain that nuclear weapons in the hands of those who would seek to destroy our allies, in this case, we're talking about Israel, we're talking about Ahmadinejad's comment about Israel being the 'stinking corpse, should be wiped off the face of the earth,' that's atrocious. That's unacceptable. Gibson: But, Governor, we've threatened greater sanctions against Iran for a long time. It hasn't done any good. It hasn't stemmed their nuclear program. Palin: We need to pursue those and we need to implement those. We cannot back off. We cannot just concede that, oh, gee, maybe they're going to have nuclear weapons, what can we do about it. No way, not Americans. We do not have to stand for that." Not Clearly Pro or Con: "I've been so focused on state government, I haven't really focused much on the war in Iraq. I heard on the news about the new deployments, and while I support our president, Condoleezza Rice and the administration, I want to know that we have an exit plan in place; I want assurances that we are doing all we can to keep our troops safe. Every life lost is such a tragedy. I am very, very proud of the troops we have in Alaska, those fighting overseas for our freedoms, and the families here who are making so many sacrifices." Not Clearly Pro or Con: "In relationship to families, what are your top three priorities if elected governor? ...Preserving the definition of 'marriage' as defined in our constitution [Alaska Constitution Article 1, Section 25: "To be valid or recognized in this State, a marriage may exist only between one man and one woman."]." Not Clearly Pro or Con: Q: "Do you support an increase in state-funded, faith-based initiatives? 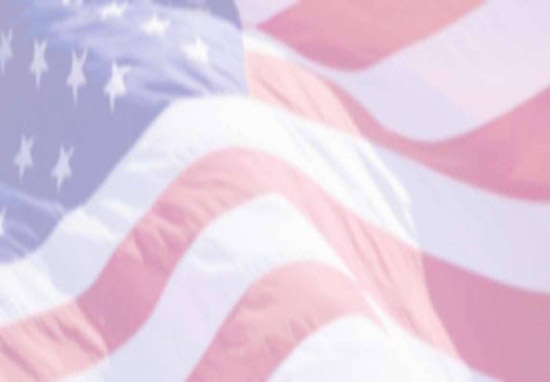 [Sarah Palin]: We see an adequate level of funding for faith-based initiatives today." Not Clearly Pro or Con: "My personal opinion is we should not create human life, create an embryo and then destroy it for research, if there are other options out there... And thankfully, again, not only are there other options, but we're getting closer and closer to finding a tremendous amount more of options, like, as I mentioned, the adult stem cell research."